Through Innovative & Integrative nature based as well as equine facilitated activities designed specifically for the needs of your group we deliver a flexible and completely unique opportunity that will be a very enlightening experience for your team members! We know that working with horses is outside the corporate boardroom box and often individuals comfort zones. This is one reason horse/human collaboration is so effective for workplace learning, development & improving leadership quality. Join us at the ranch for individual leadership coaching or bring your team along! Life can be very challenging and with it brings a lot of stress, this effects our individual work atmosphere, productivity and commitment level. This is why we feel it is important to learn to value each other’s differences, learn from each other’s experiences & appreciate what each one of us uniquely brings to a team. Have no fear yourself or your team will not be asked to “cowboy up” all our horse/human collaboration activities are on the ground, No Horse Experience Is Necessary! Part of your learning will be engaging in awareness, safety activities and we include nature-based experimentation and non-equine facilitated learning activities as well. Revitalize & Reward Your Team! We know that horses have very little function in their frontal cortex, which means they have very little ability to reason! Us humans love to reason, tell ourselves stories of our experiences or our present moment situations and our future worries. Horses are unable to communicate with this part of us. They are highly sensitive animals and rely on their nature and the responses from their nervous systems for survival. This means they are present moment communicators! To communicate effectively we have to be able to have present moment intention, we have to know and be able to communicate and put into action our leadership abilities and most importantly we have to be in our truth. There is no fooling our equine coaches!! 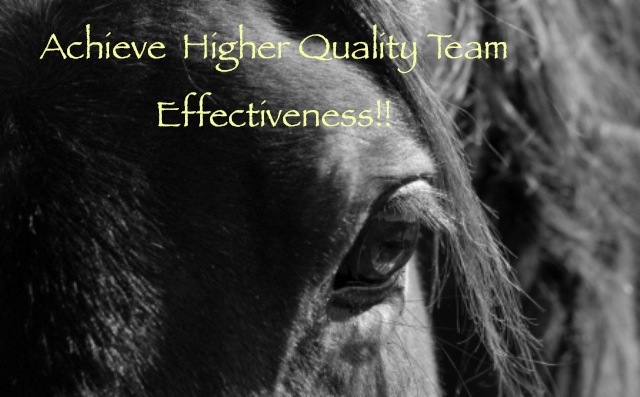 We offer a variety of options and are completely flexible in the personal design of your teams equine facilitated individual leadership, team building training needs. We provide half day (for smaller groups), a full day, 2 day, weekend or weekday non-residential retreats and long term team or individual equine facilitated coaching solutions. Cost - let us know your teams needs and we will price a training for you! Transportation to the ranch is not provided we are located roughly 40 minutes north-west from Calgary’s city centre. Meals can be provided for an extra fee, beverages & snacks are always included. Join the Silver Valley Ranch Community Today! Subscribe with your email address to receive Ranch news and updates. A country escape that offers the opportunity for individuals & groups to experience integrative exploration, growth & healing through mindfulness, nature based resilience coaching, equine facilitated coaching/equine therapy (for individuals, couples, youth & families), leadership training, personal growth retreats, workshops, youth empowerment programs, horsemanship coaching, energy healing sessions, intuitional art classes & healing drum circles. No Worries You will not be asked to "cowboy up" all equine facilitated activities with the Ranch Herd are from the ground unless you are working with your own horse partner. No horse experience necessary!